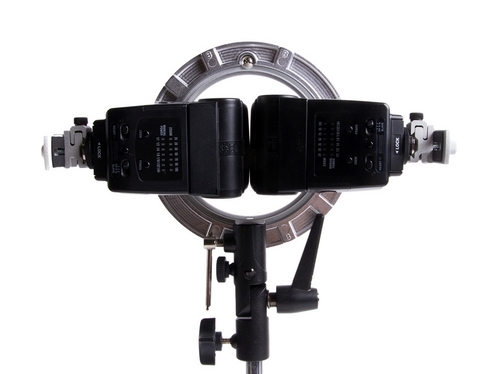 US firm LumoPro have announced an adapter that allows two speedlights to fire into a studio softbox. 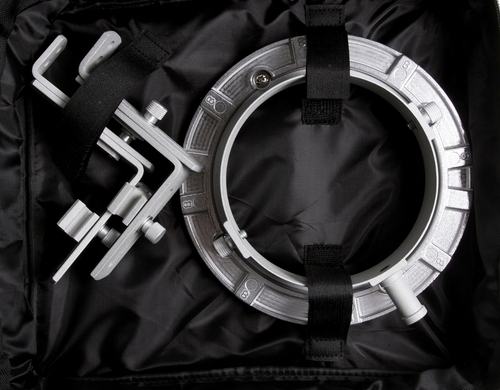 US firm LumoPro have announced an adapter that allows two speedlights to fire into a studio softbox. 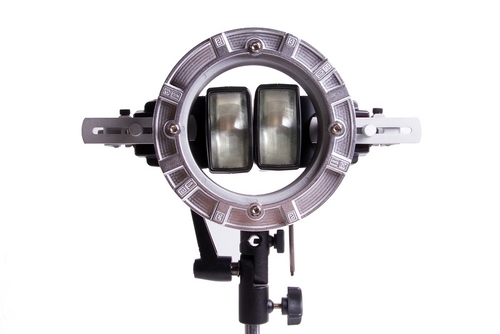 The LP739 Double Flash Speedring Bracket is “designed to mount two hot shoe flash units into most softboxes on the market… up to 4’x6′”. 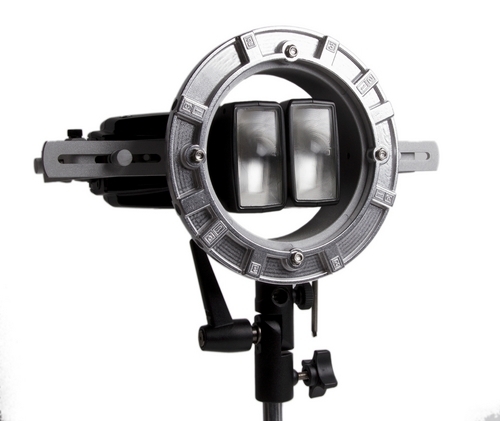 The LP739 has two extending arms which let you mount one or two flash units, with or without radio receivers, into a speedring of a softbox. Each arm can be adjusted with a thumbscrew. The coldshoe mount on the bracket is “specially designed to prevent shorting out the shoe mount connections”. Total weight is under 1kg and the kit comes with a carrying case. Retail price for the LP739 is US$45 or €50 and it is on sale now. LumoPro products are sold in the USA, Europe and China. Visit their web site for a list of dealers.